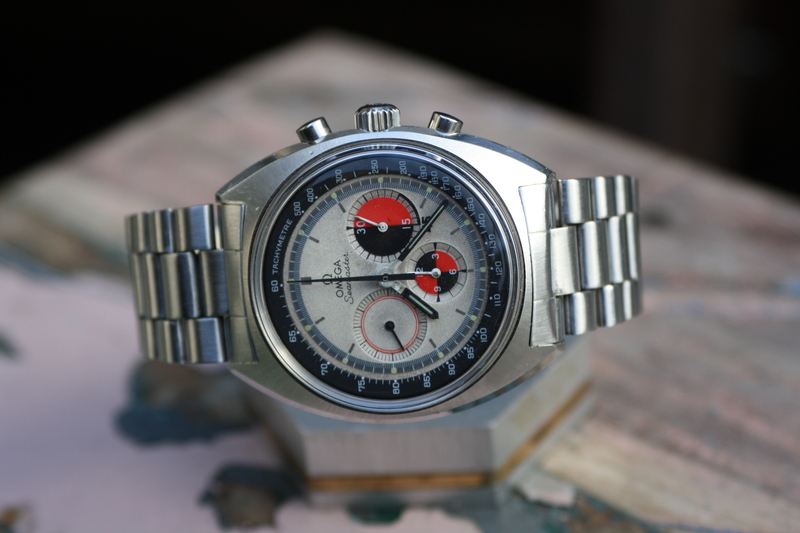 Beautiful Omega Seamaster with a 45 minute counter chronograph. 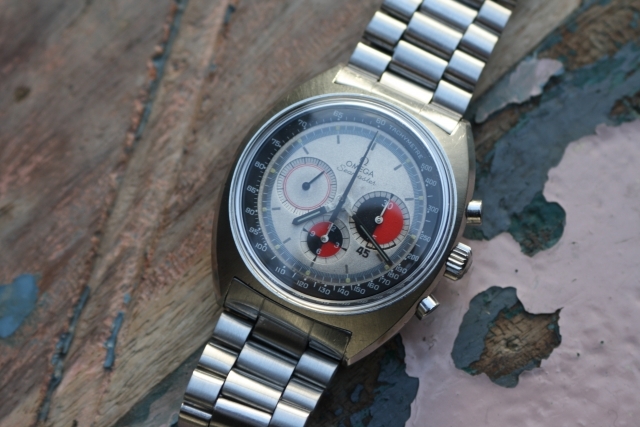 This watch has been developed in the 1970’s as the Omega Soccer timer. 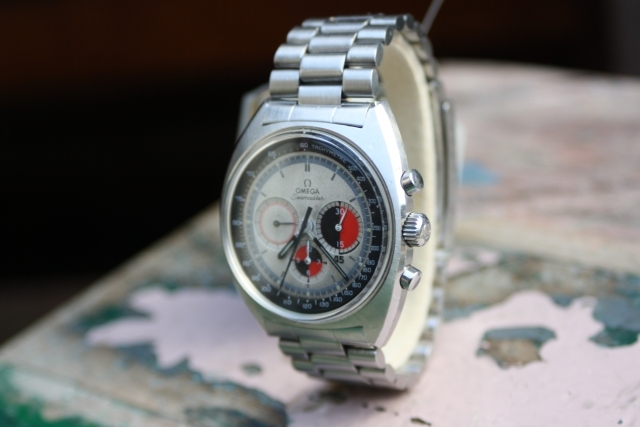 The example we offer here is fully original and has been serviced recently at the Omega service centre. The tritium dial of the watch has developed a nice tropical colour and remains all its tritium dots. The steel bracelet is on full length and the condition is fine. The case of this Omega Soccer time still has its original bevel edges, original pushers and crystal. The hands have been changed at an earlier Omega service. With its 40mm case size its a sporty chronograph with a distinctive look. for more information about our collection please contact us now.